It’s 15o years since the development of the periodic table – the inspiration for chemist and concentration camp survivor to write one of his greatest books. Long before Stephen Jay Gould or Stephen Hawking, the Italian writer Primo Levi sought to make science accessible to the layperson. 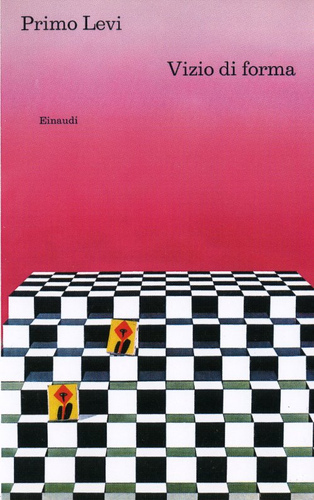 His literary-scientific memoir The Periodic Table, first published in Italy in 1975, offered a lapidary integration of science and literature, and continued a tradition of scientific writing from Galileo to Darwin that vanished in the 20th century following academic specialization. 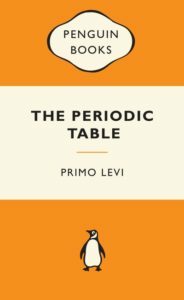 Daringly, Levi structured the book round elements of the chemist’s periodic table. Certain elements seemed to Levi to evoke images of his past experiences; he used these as aides-memoires, drawing from potassium, say, or titanium a thread of reminiscence to weave his life history. Chronicled are the fumes, stinks, bangs and fiascos (as well as the occasional triumphs) of Levi’s early chemistry experiments in 1930s Fascist Italy, his deportation as a Jew to Auschwitz and postwar recovery as writer and manager of a paint and varnish factory on the outskirts of his native Turin. 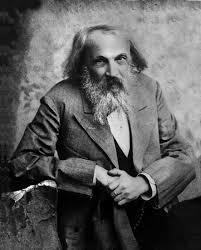 One hundred and fifty years ago this month, in March 1869, the Russian Jewish chemist Dmitrii Mendeleev published what would become known in English as the periodic table. Mendeleev was the first chemist to organize the elements in a grid-table according to their atomic weight. In 100 or so squares containing symbols and numbers he devised a grand yet very simple design for the universe. In the table Levi himself saw a bracing symmetric beauty and sober delight in extracting order from chaos. And this was essentially the attraction for Levi of chemistry – chaos giving way to neatly ordered elements. Central to The Periodic Table is the notion that chemistry is a reassuringly earth-bound science, whose “clean, distilled quality” served as an antidote to the Fascist regime’s egregious demotion of science. As a teenager growing up in Mussolini’s Italy, Levi saw how chemistry had been sidelined at his secondary school as “stinks”. The Fascist school reforms of 1923 had ensured that the classics provided the core curriculum, not science. The dictatorship’s philosopher-in-residence and education minister, Giovanni Gentile, had scorned laboratory disciplines as “grossly materialist” and “vulgar”. Prominent Blackshirt ideologues such as Benedetto Croce (later, a convinced anti-Fascist) regarded science as “dangerous” and feared that children would be corrupted by studying it. Levi never forgave Croce his dictum that “scientific problems are not real ones”. Yet, as a professional chemist, Levi also understood better than most that the world’s most destructive transformations (Zylkon B, anthrax, sarin) are born in the laboratory. If This is a Man, his 1947 chronicle of captivity under Nazism, portrays Auschwitz in scientific terms as a giant laboratory experiment designed to transform the substance of human kind. The concentration camp remained Levi’s great theme – the place where the writer in him was born. In his two science fiction volumes, Natural Histories (1966) and A Structural Defect (1971), he warned against man’s potentially destructive misuse of technology. What gives these dystopian stories edge is the shadow cast by Auschwitz. ‘One Night’ opens with a cattle-train shunting an unnamed cargo across a chilly landscape. ‘Censorship in Bitania’, an Orwellian allegory of the totalitarian state, considers the enormity of Nazism as well as Stalin’s technocratic Soviet Union. A quarter of a century after the end of Nazism it seemed that Levi was preparing for the final countdown – the third world war that had begun with the atomic flash over Hiroshima. In many ways, The Periodic Table was Levi’s attempt to give his life meaning and justification. 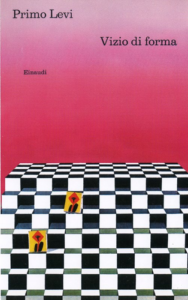 The “Carbon” chapter, a poetic fable about the infinitude of matter, dates to December 1943, when Levi faced likely execution in a jail in German-occupied northern Italy. Frightened, he had pondered the notion of a novel (as it was then to be) about a carbon atom’s odyssey. It is certainly remarkable that Levi was able to reflect on the miracle of life born of carbon at a time when his own life was probably about to end. Yet Levi was unavoidably shaped by a sense of religion and exposed to Jewish cultural traditions from an early age. “Man is, and must be, sacred to man, everywhere and always”, he wrote.